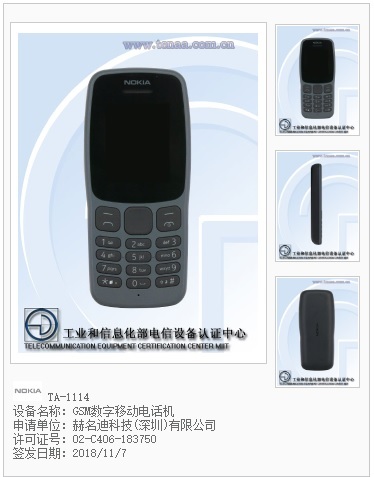 New Nokia phone TA-1114 just showed up on the web pages of Chinese telecommunication ministry agency TENAA. Although the phone’s photos weren’t published jet, TENAA revealed its basic specs. 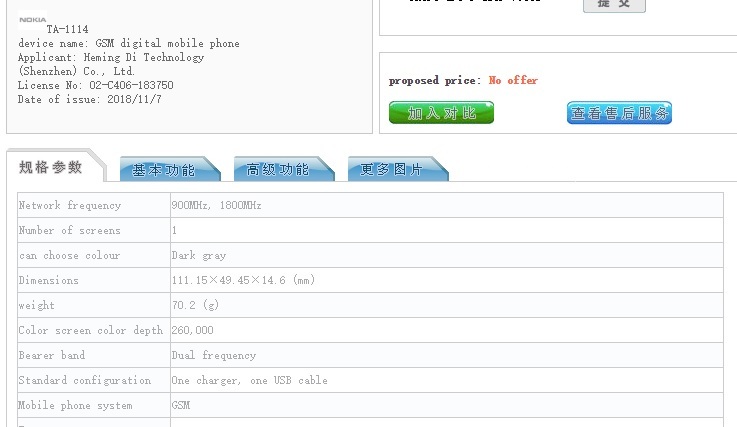 Now we can for sure say it is a feature phone that will most probably have T9 keyboard, rather small 1.77-inch screen with the 800 mAh battery. This phone has single core 0.26 GHz processor which is most likely made by Mediatek since the processor with the similar characteristics is running inside the new Nokia 106. Actually, this could easily turn out to be a Nokia 106 that is getting ready to enter the Chinese market.